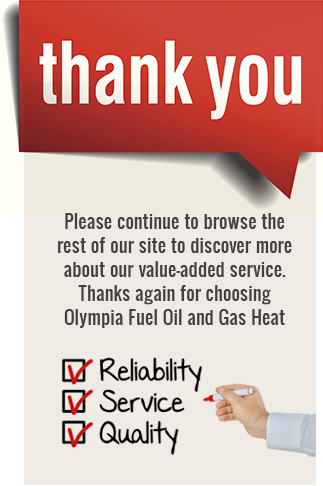 Olympia Fuel Oil and Gas Service is your trusted provider for all your Home and Office heating needs. You can count on us for reliable and affordable heating and hot water solutions anytime, and anywhere in Manhattan, Brooklyn, Queens and Bronx. We proudly serve Nassau County as well. Since 1994 we have established thousands of relationships with all of our valued customers ensuring great service with affordable prices. We are fully licensed and Insured in the City of New York to provide Residential and Commercial services as the best prices available. We provide dedicated heating services that are professional, reliable, efficient and courteous. Call us for all your fuel oil delivery,oil and gas boiler and furnace installations, hot water heater installations, heating equipment inspections, maintenance and servicing. Call us today to find out how you can purchase and install heating equipment- oil and gas boilers, burners and furnaces or hot water heating equipment for your home and office. We also provide fuel oil delivery direct to your home or office for all your heating needs. Call to schedule boiler inspections and maintenance or to have emergency serving on your heating equipment – we always there for you.